Ahead of Eastern UP Congress general secretary Priyanka Gandhi Vadra’s visit on Monday, posters portraying her as Goddess Durga have emerged in some parts of the state capital. Lucknow: Ahead of Eastern UP Congress general secretary Priyanka Gandhi Vadra’s visit on Monday, posters portraying her as Goddess Durga have emerged in some parts of the state capital. In the poster, Priyanka can be seen sitting atop a tiger in an apparent portrayal of Goddess Durga in her most iconic avatar. 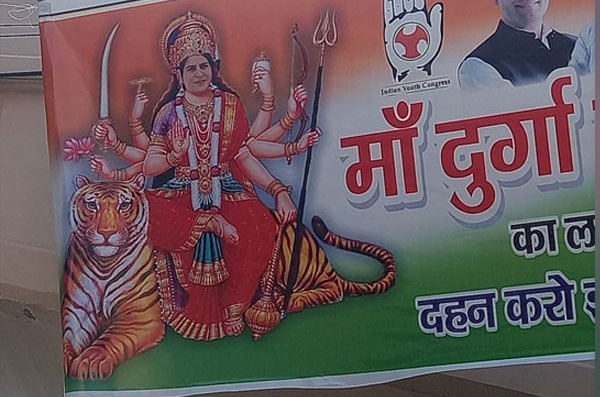 A Hindi slogan accompanying the picture reads, “Sister Priyanka Gandhi is the form of Mother Durga”. The Congress workers have also decked up key roundabouts on the route of the road show with party flags. Similarly, party state office is also decorated with flowers and flags, with a number of posters dotting both sides of the lane leading to headquarter. Priyanka, UP West general secretary Jyotiraditya Scindia and party President Rahul Gandhi's will be visiting the city today. 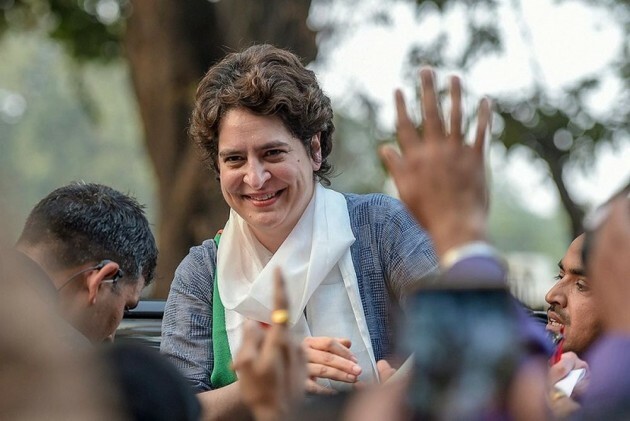 Ahead of her maiden as General Secretary for Eastern Uttar Pradesh, Priyanka had said: "I am coming to Lucknow tomorrow and I wish that together we will begin a new politics and you be a part of it. Youth, women and marginalised, everyone's voices will be heard. Let's establish a new future and politics."